Jamaica’s best coffee, and indeed one of the world’s best coffees, is Jamaica Blue Mountain, a sophisticated coffee grown in the Blue Mountain District of Jamaica. Jamaica’s Blue Mountain region is north of Kingston and south of Port Maria, with Jamaica Blue Mountain coffee-growing estates located at elevations between 3,000 feet (914 meters) and 5,500 feet (1,676 meters), while lesser coffees are grown at lower elevations. Jamaica High Mountain is grown between 1,500 and 3,000 feet and Jamaica Supreme/Jamaica Low Mountain grown below 1,500 feet. Jamaica Blue Mountain is a wet processed (washed) coffee, and its slightly sweet flavor is refined and mild, sometimes almost creamy and with rich hints of chocolate. Jamaica Blue Mountain is a wet processed (washed) green coffee that is silky smooth and well-balanced, with an excellent full body, a classic and refined mild taste with a slightly (and unusually) sweet flavor, very rich (sometimes almost creamy) and with a complex taste that is sometimes almost chocolaty. At its best, Jamaica Blue Mountain coffee produces the quintessential cup of coffee that is one of the world’s best gourmet coffees. 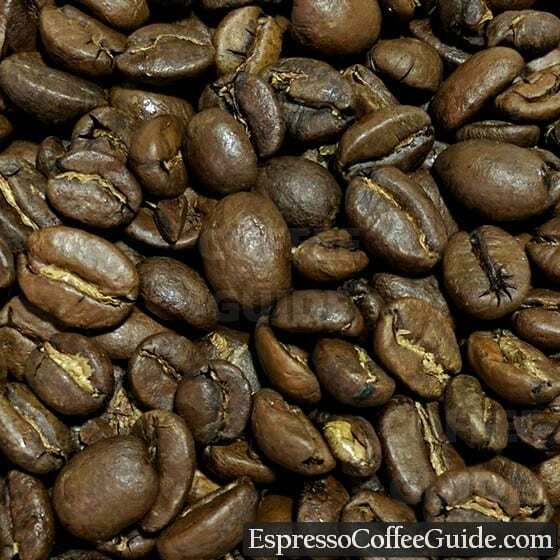 Traditionally used for espresso are Jamaica Blue Mountain peaberry coffee beans. A peaberry coffee bean is one that forms as a whole bean in the coffee fruit (cherry), instead of two half-beans as occurs in most coffee cherry. These are separated out from the other coffee beans and traditionally used for espresso. The unique Blue Mountain growing region features an ideal coffee-growing terrain and climate – misty and cool with lots of rain along with great soil drainage. This area contains some of the Caribbean’s highest coffee-growing regions. A range of Blue Mountain coffees are grown in various parishes including Saint Mary, Saint Thomas, Saint Andrew, and Portland. Some of the most renowned Jamaica Blue Mountain estates include Mavis Bank, Wallenford, Moy Hall, Old Tavern, and Silver Hill, all of which have registered the right to label their coffee as Jamaica Blue Mountain.™ More recently Old Tavern Estate has earned the right to sell Jamaica Blue Mountain™ coffee. Some of these coffee estates now serve primarily to acquire coffee beans from the many small coffee farms located nearby, and then mill the beans or send the beans to other areas (e.g. at sea level) to be milled. Skilled roasters are able to use their knowledge of flavor profiles to create blends imitating the Jamaican Blue Mountain coffee beans using other origins that are significantly less expensive. Since the official coffee is a relatively mild and delicate balance of flavors rather than very distinctive (as a monsooned coffee, or some Sumatra coffees are), the flavor profile can be very closely duplicated. The Jamaican coffee crop is subject to the standards and controls of the Coffee Industry Board of Jamaica (CIB) which encourages the development of Jamaica’s coffee industry, protects the quality of the product (e.g., Jamaica Blue Mountain Coffee), and promotes the welfare and betterment of the coffee farmers and others in the coffee industry. The Coffee Board is involved with monitoring and licensing the many aspects of Jamaica’s coffee industry including coffee farms, nurseries, coffee processors, coffee dealers, and also consumers. The Board also deals with trademark issues and owns the Jamaica Blue Mountain® trademark as well as the Jamaica High Mountain Supreme® trademark. The Coffee Industry Board of Jamaica completes sample tests on coffee exports to protect the Brand’s integrity. In addition, the Board helps farmers with plant varieties, pest and disease control, weather forecasting, and technical advice and assistance. The coffee is widely available from major green coffee importers and brokers, due to a well established and tightly controlled distribution industry in Jamaica. It’s often available pre-roasted at aggressive prices from Costco due to the large volumes they’re able to promise to sellers. Starbucks has also offered Jamaican Blue Mountain as a part of their reserve program. As with any premium coffee (especially at premium prices), we recommend that you order this coffee fresh roasted from a coffee roaster, since coffee loses flavor very quickly (2-4 weeks) after being roasted. The origin of Jamaica’s coffee plants can be traced to an intriguing story involving the Dutch smuggling coffee plants from the Arab port of Mocha so they could grow it in Ceylon and Java. See World’s Best History of Coffee. Most all of Jamaica’s coffee plants today are direct descendants of plants brought to Martinique by the French in 1723. The first place the plants were cultivated in Jamaica was in the foothills of St. Andrew. Eventually coffee cultivation extended up into the Blue Mountains. In Jamaica’s Blue Mountains the coffee plants responded well to the unique soil and climate conditions and eventually developed into the distinct coffee plant varietal now known as Coffea Arabica var. blue mountain, which is commonly referred to simply as Blue Mountain. In recent years Jamaica has had an annual coffee production of about 4 million pounds, and 85% of Jamaica’s Blue Mountain coffee is purchased by Japan. This has driven up the price of Jamaica Blue Mountain coffee to a level that many people consider excessive in comparison to other premium gourmet coffees on the world market. Also see Jamaica Blue Mountain Coffee. 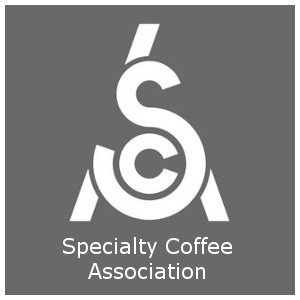 For tips on brewing the best cup of specialty Jamaica coffee see Coffee Brewing, and then read about the finest coffees in the world in our section covering all of the finest Specialty Coffees. For specific instructions on espresso shot pulling check out Pulling A Perfect Espresso Shot as then hone your espresso drink making skills with the How to make a Latte.